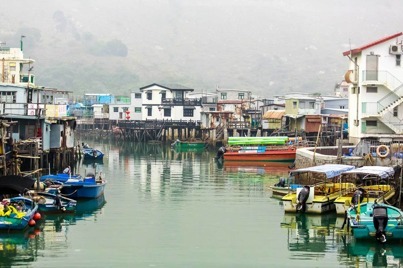 TransLantau, is a trail running event on Lantau Island, the biggest outlying island of Hong Kong. 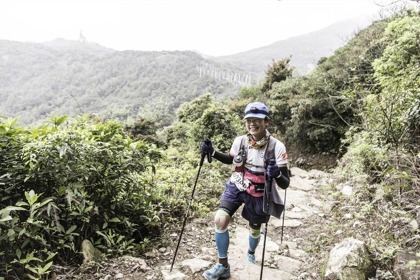 With 90% of the course on trails and covering two country parks, participants get to push their limits as their eyes feast on the landscape of undulating hills and long coastline, untouched by the urbanization of Hong Kong. Either solo or in a team of 2, participants can sign up for the flagship event, Ultra 100km (5,800m+ elevation), or the sister races of 50km (2,700m+ elevation) and 25km (900m+ elevation). The event starts and ends on Silvermine Beach, Mui Wo. Come and join us for the 5th edition of TransLantau on March 11 – 13, 2016..
Loppet äger rum i Hong Kong och man kan välja 15.25.50.100km på ön Lantau i mitten av mars olika beronde på helg. Jag sprang 50 km. Var i Hong Kong från 18 februari till 18 Mars och för-åt mig på den spännande maten och drycken.